Click here to continue to Focal Point Forums. Welcome to the official forums of Focal Point. Here we provide a free online listening service. You may search our forums and read posts on any mental illness you may be suffering including anxiety, depression, bipolar etc. We also provide individual advice sessions, relationship advice sessions & much more. We also provide an online chat service so you can speak to an online listener/advisor in a private chat room. All information & details are kept confidential. Please note that some of the listeners/advisors on this website are not licensed or fully qualified. That's why we call them listeners. They are properly trained & listener accounts are monitored very often to make sure no one is abusing their privileges. We are here to help you..! Any disrespectful behaviour isn't tolerated by our staff or community. 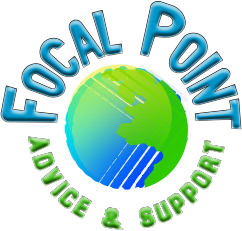 Focal Point Counselling © 2016. All rights reserved.